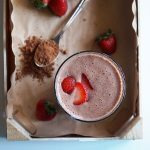 Chocolate Strawberry Banana Smoothie is a simple, healthy and delicious smoothie that can be made with easily available ingredients. I have used frozen banana in this recipe but you can use fresh banana and ice cubes to serve immediately. 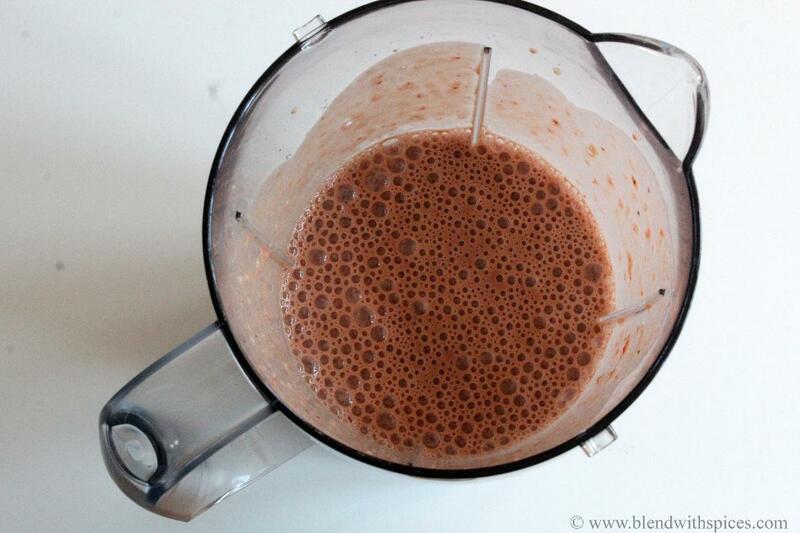 How to Make Chocolate Strawberry Banana Smoothie Recipe with step by step photos and video. 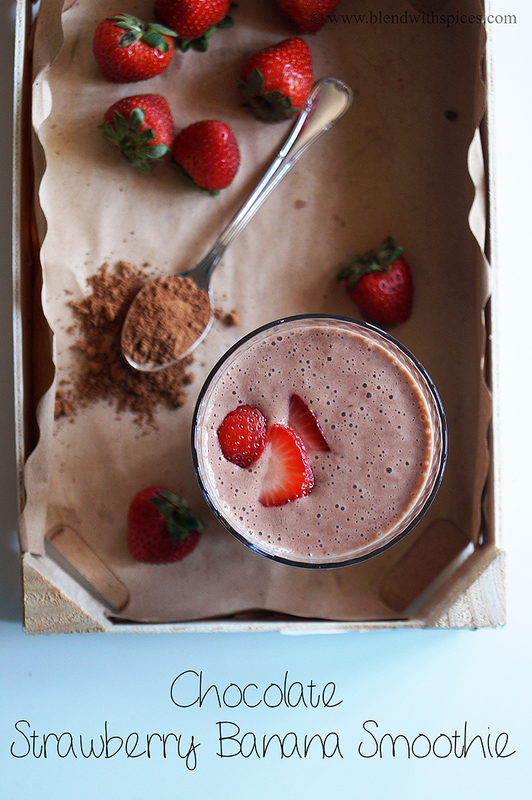 In a blender, combine the yogurt, frozen banana, chopped strawberries, cocoa powder, vanilla, honey and milk. 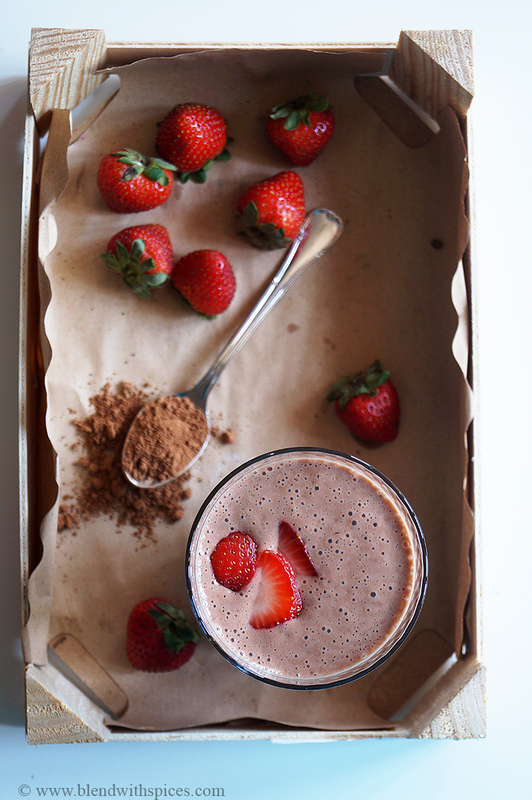 Wash and chop the strawberries and set aside. 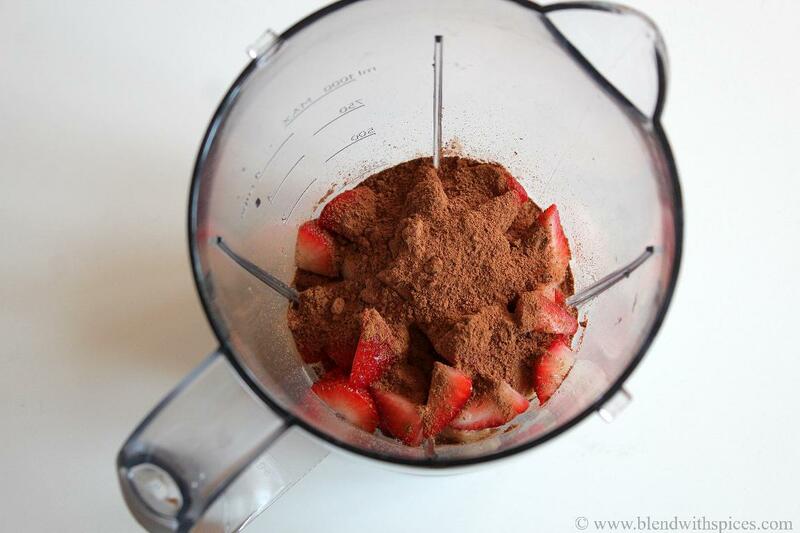 Take a blender jar and add yogurt, banana, strawberries, unsweetened cocoa powder, vanilla and honey to it. 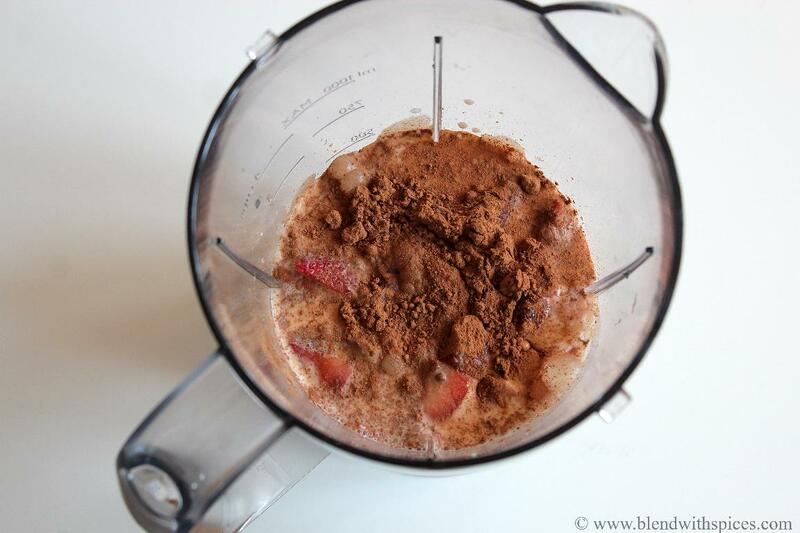 Pour 1/2 cup of milk to it and blend until smooth and frothy. Add more milk if you want to adjust the consistency.